From time to time, Park E Bike has special offers and discounts for Facebook Friends, referrals and repeat clients. You can keep up with new offers, promotions and discounts on e-bike rental and day trips on the Park E Bike Facebook page or by joining mailing list. 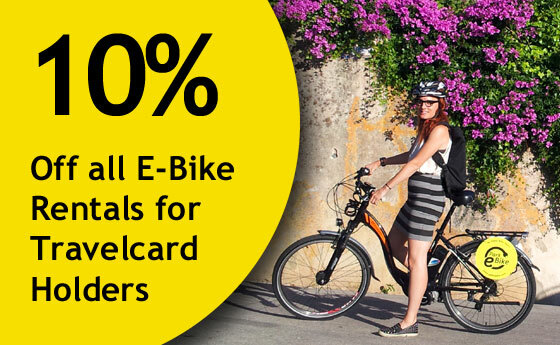 By showing your Park E Bike ticket at select locations, you can get additional discounts while you travel in Sintra. Share our special offers, promotions, coupons and discounts with anyone you like, any time. All you have to do is share this page with them.